Beginning in 2008, our founder and lead Food Marketing Consultant, Matt Adams, embarked on an online adventure. For the coming 5 years,he overcame significant obstacles and challenges to grow the website into a scaled, profitable business. He then sold the business to an investor. While working as a Business Analyst, he also setup an educational website called Business Analyst Guru (http://www.ba-guru.com). Thiswebsite went from strength to strength and within 12 months was receiving 7,000visits per month because of innovative SEO techniques that built super strong relationships that Matt aggressively put in place. It also acquired 5,000email subscribers through an aggressive email collection strategy. Matt then went on to consult for a number of food and beverage companies including a fresh coffee roasting company. Sales have tripled year-on-year for the last3 years through organic growth. They have been on an exciting venture of growthand are truly delighted about the prospects of dominating the online arena. 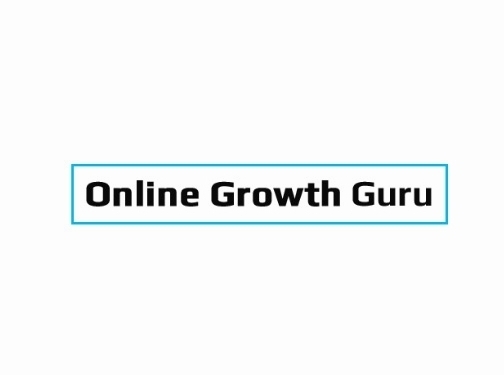 From there, Matt set up Online Growth Guru as more than just a a food marketing agency. Matt uses his passion so he and his team can grow food businesses by enhancing their business relationships acrossthe internet and ensuring his SEO techniques reap the benefits in terms of leads, traffic and sales. After some deep keyword research using SEMRush and Answer the public, wefound that people were searching for 'what is the best coffee for... e.g. an Aeropress,an espresso maker, a V60 drip method. So we wrote a detailed article suggesting which of our coffees were best for a V60 drip brewing method. We could link to 4 or 5 different products, with images, while givingsome valuable information to our users. After some nice optimisation, the post made it to page 1 in Google after 5 days. Within 2-3 weeks we were fluctuating between 1 and 3. It became one the most popular landing pages on the website overnightand continues to generate a great conversion level from the blog to the store. One of the most important things to remember about SEO, isthat it's no longer about sitting in a dark room finding algorithms that canovercome Googles. It's about building a network of relationships across theweb of high quality website owners within your industry. And once you've donethat, creating a strategy that's beneficial to both of you. We created an event for one of our clients. The eventallowed us to reach out to bloggers and website owners in the local area. Whenthe website owners came down to our event, they were able to get some highquality videos and photos to put on their website. A few weeks later, we were receiving referral traffic, linksand boosted sales. Google rankings increased as a bonus too J. Are you trying to get referral traffic and high rankings? Ifnot, you definitely should be. Let's have a chat to see how we can work together to getthings off the ground for your business. It's will be a combination of SEO for food & bev, Food Content Marketing and technical design. Here's to an exciting website adventure for you and your food business. UK (Manchester) based business providing internet marketing services. Website includes details of services provided, "meet the founder" page, work examples and case studies, regularly updated blog, associations, contact details.